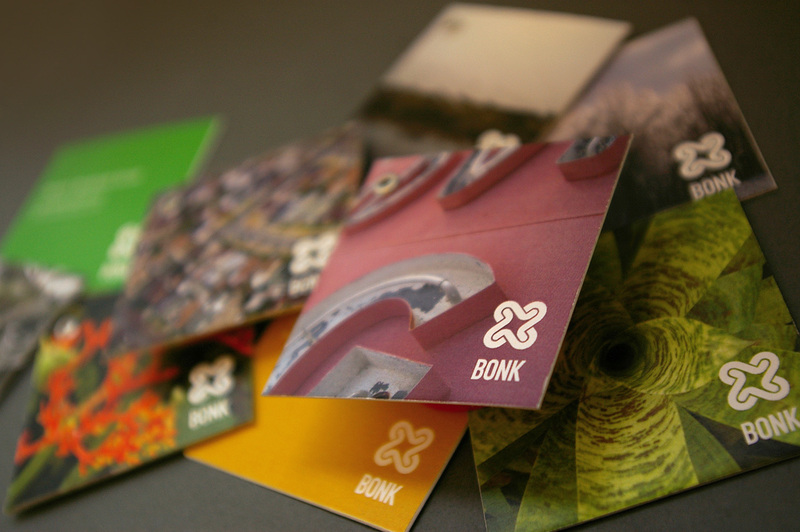 Bonk is a purveyor of modern handmade goods. The mark reflects the woven aspect of textiles, but also forms an X to pair with the onomatopoeic name which refers to an impact or mistake. The hangtags feature the natural and man-made.